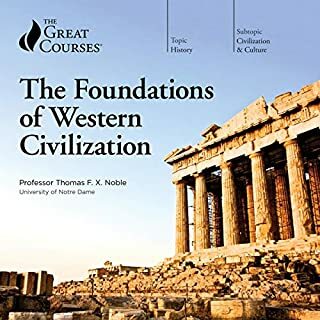 Western philosophy is a vast intellectual tradition, the product of thousands of years of revolutionary thought built up by a rich collection of brilliant minds. But to understand the Western intellectual tradition is to get only half the story. 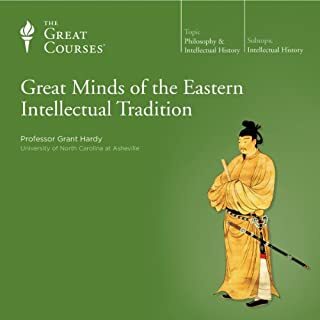 The Eastern intellectual tradition has made just as important a contribution-and is also the product of thousands of years of cumulative thought by a distinct group of brilliant thinkers. Their ideas demonstrate wholly different ways of approaching and solving the same fundamental issues that concerned the West's greatest thinkers, such as . the existence of God; . the meaning of life; and. the nature of truth and reality.This epic and comprehensive 36-lecture examination of the East's most influential philosophers and thinkers-from a much-honored teacher and scholar-offers a thought-provoking look at the surprising connections and differences between East and West. By introducing you to the people-including The Buddha, Ashoka, Prince Shotoku, Confucius, and Gandhi-responsible for molding Asian philosophy and for giving birth to a wide variety of spiritual and ideological systems, it will strengthen your knowledge of cultures that play increasingly important roles in our globalized 21st-century world. 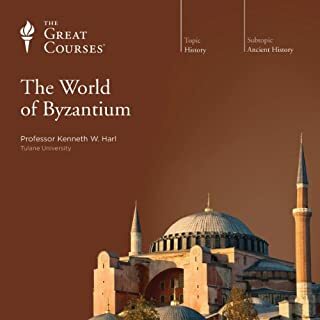 Over the course of 48 ambitious lectures, take a grand journey through Eastern civilization to study everything from the material economy of day-to-day life to the political and religious philosophies that would bind these cultures together for thousands of years. While China is home to some of the great moments in world history and a major focal point for this course, you'll also take several extended forays into Central and Southeast Asia to build a comprehensive picture of Eastern civilization. 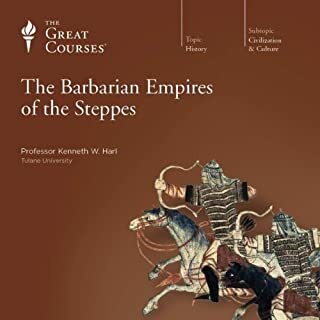 "To truly understand the modern world, it is essential to know something about the many extraordinary contributions Eastern civilization has made," Professor Benjamin says. "Simply put, it is not enough to know just the 'Western' half of the story any more-both Eastern and Western are critical to understanding our present and our future." Now is your chance to fill in the other half of the story. You may be surprised to realize that all of us have been students of Eastern civilization, even if we have not been aware of it. 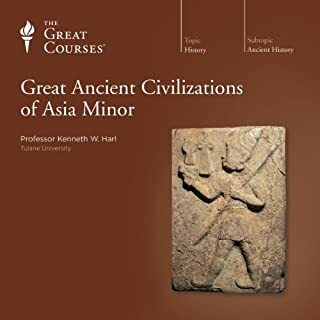 Filled with captivating stories and surprising details, this course will open up an entirely new world for you as it unfolds the story of Eastern civilization. 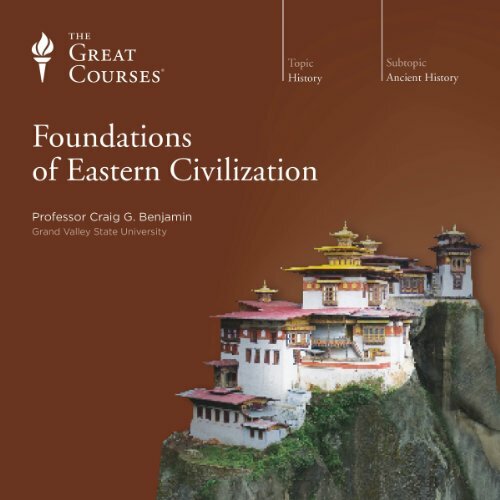 Would you listen to Foundations of Eastern Civilization again? Why? 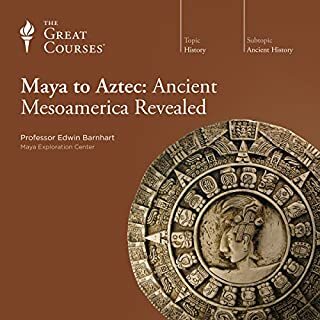 What other book might you compare Foundations of Eastern Civilization to and why? 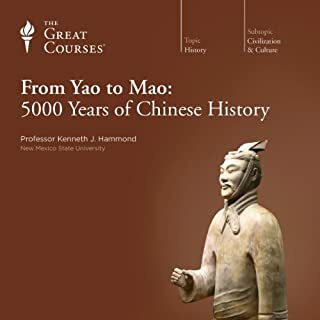 From Yao to Mao: 5000 Years of Chinese History (The Great Courses, Narrated By Professor Kenneth J. Hammond); The Fall and Rise of China (The Great Courses, Narrated By Professor Richard Baum. 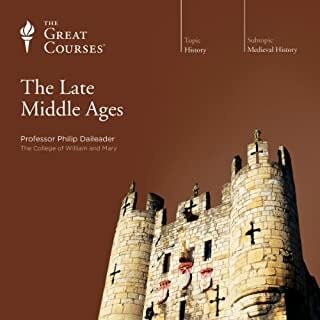 The present book is the third lecture series from The Great Courses on China. Of the three, Baum's is much the best but covers mainly the last couple of centuries. Hammond's is a straightforward survey that is rather superficial; it provides the basic information but does not really convey the sense of how things were and why they happened (this is of course always a problem with broad surveys). 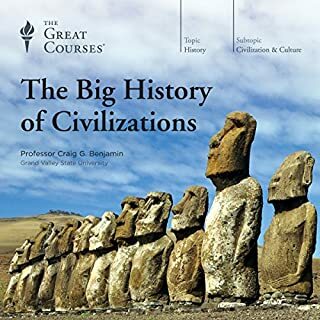 Benjamin's survey suffers from this too, but he makes up for it by drawing upon archaeological evidence and by including Korea, Japan and southeast asia to put thing into a "big history" perspective. He is energetic and evidently engaged. His Australian accent did not bother me too much, but his problem is his misunderstanding of the Chinese pinyin system of transliteration. He tell us that it is a more intuitive improvement on the older and more complicated Wade-Giles, when in reality pinyin's aim is an unambiguous coding of the sounds of Chinese through the Roman (NOT the English) alphabet. As a result, pinyin is far from intuitive for a speaker of English or any other Western language since it does not refer to any particular Western language; in fact, an English speaker would have a better chance of pronouncing something comprehensibly using Wade-Giles which was based on English. 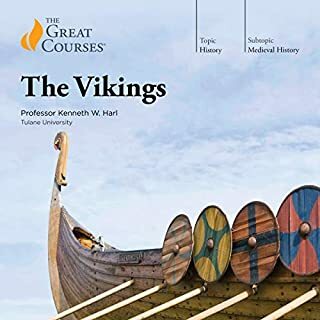 More specifically, the letters x,c,q are impossible to pronounce intuitively; unless their arbitrary phonetic values are learned precisely, the pronunciation will be incomprehensible, as often in this audiobook. E.g. the name Cao-cao is pronounced "Kao-kao" when it should be "tsao-tsao", 'Quan" becomes "Kuan" when it should sound more like "chuan". The distinction between words ending with '-an' and '-ang' is also essential, and here too mistakes render all but incomprehensible names that the reader does not already know. Pinyin is an excellent system, but it needs to be learned in a systematic way. I was dismayed that Prof.Benjamin had not done this. There are some factual errors that I don't have time to point out, and in particular Benjamin's understanding of post World-war II China leaves much to be desired (in this area Richard Baum is far more competent). 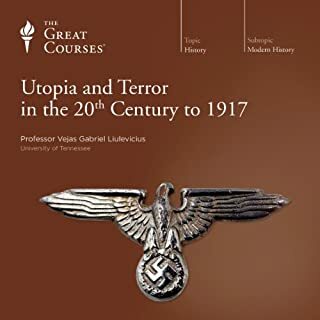 Despite its failings, however, I would still recommend this course for its "big-history" perspective. 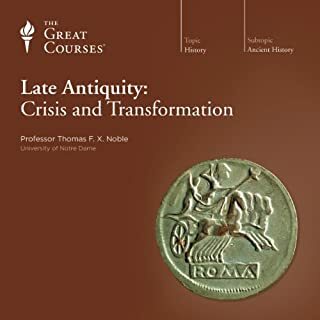 Overall: a solid course full of great history from a professor with an engaging style but there were also a number of lectures I found myself disinterested and wondering when a deep discussion of the foundations of an Eastern civilization would occur. There's a lot of great history here, but the professor (from Australia) tows the communist party line. Some examples include referring to modern Taiwan as part of the PRC, defending the one child policy, referring to the 89 massacre as an "incident" where we really don't know that it's as bad as everyone says. He brushes over Mao's policies as being good natured but just not working out and doesn't mention that Mao is responsible for more deaths than Hitler or Stalin. As frustrating as the bias is, the course was a good introduction to Asian history for me. I didn't know much about the subject going in and feel like I've learned a lot. I just didn't feel like I could trust the professor. 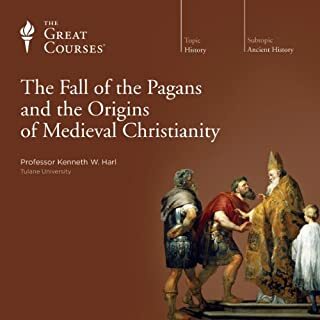 While passionate some of the history was not detailed enough or actually misleading especially in the Medieval period and he made sweeping statements that were inaccurate. 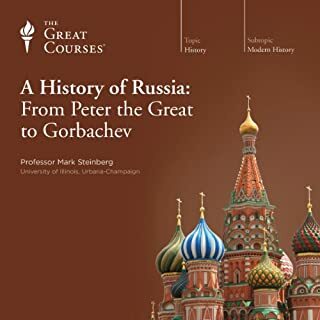 I have heard some of the other teachers of the Great Courses who did know this history and explained it better. I really enjoyed this lecture as an introduction to Chinese/Far Eastern history. 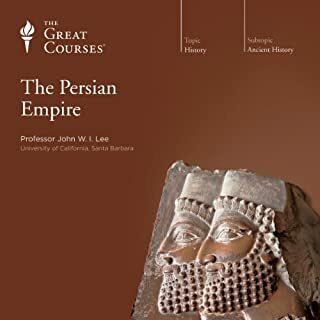 I started out not knowing much at all about anything farther east than Persia, and now feel like I have a solid grasp on the general course of Chinese history, and would not like to learn more about a few specific periods and places that I had never heard of before (such as the Kushan empire). One thing I did not like about this course was the inconsistent or inaccurate pronunciation of various place names and dynasties. Sometimes he pronounces a word correctly the first time, but then anglicizes it more later--and at times the pronunciation is not only incorrect, but leaves you with an entirely mistaken idea of how it might be spelled (which makes it harder to look further into an interesting topic). Otherwise it was an informative and enjoyable listen. Very engaging speaker, weaves in interesting stories. Really seems to know Chinese history well. Gives a brief, but good overview of Korean history. Southeast Asia is barely covered, but he does what he can. There are many resources that examine Chinese history and Chinese civilization, but this is one of the rare resources that cover China, Japan, Korea, Vietnam and the other nations and civilizations of Central Asia. Everything from great leaders, philosophies, economics, religions and their influences from and to other parts of the world and among themselves. It is a deep, rich course leaving you wanting more. 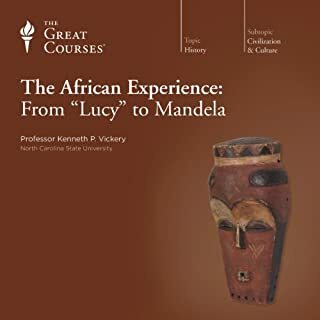 This is the best audio book/lecture I have listened to. 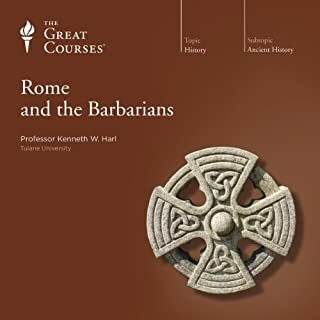 The lecturer does a great job of tying together the many wide ranging topics to give a broad holistic overview of Eastern Civilisation. I would highly recommend. Incredible lecturer. Incredible content. Through its entirety, enthusiasm and wonder radiated. I highly recommend listening to this. 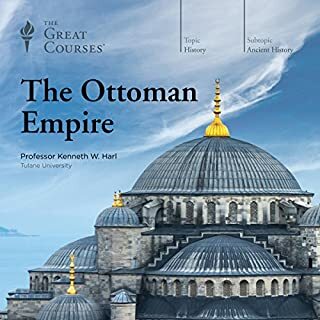 If you have ever felt your Eastern History knowledge needed some refining to fit it into a larger understanding of history or just wanted to understand it for its own sake, this is for you.